Mechanical Force Test Stands are designed to work with our force gauges to create a force measurement system for a wide range of applications. Our stands allow the operator tension and compression force for accurate and repeatable measurements. 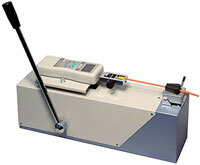 The FSA-MSL Material Tester is designed for force vs distance measurement. 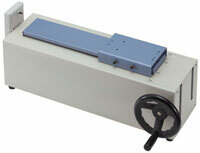 It is ideal for tests requiring very small movement, like switch tests.